INDUSTRY.co.id - Jakarta, The problem between the Association of Indonesian Automotive Industries (Gaikindo) with Mercedes-Benz Distribution Indonesia (MBDI) has been completed. 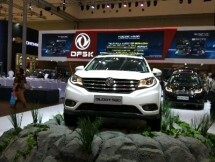 Chairman of Gaikindo, Yohanes Nangoi said, They have agreed to re-send sales of vehicle data this week. "The availability of such data by linking Mercy sales data in the Ministry of Industry to Gaikindo site," said Nangoi in Jakarta (6/1/2018). Since April last year, Mercy halted the supply of wholesales sales data due to objections if it had to give it to Gaikindo who is considered a private organization that is not under the government. Mercy just want to publish sales data officially by the government. According to Nangoi, Mercy's argument is actually less precise because Gaikindo is an association appointed by the government through Minister of Finance Regulation No. 79 of 2013. Through this rule, Gaikindo is required to collect sales and industry data from its members. Meanwhile, in a different place, MBDI President and CEO Roelof Lamberts said it already has a solution to the problem of sales data. "We have reached a solution, in which the Ministry will announce a link or provide a link on their website and link it to Gaikindo's data," he said. Lamberts explained in the central policy of Mercedes-Benz, namely Daimler AG, which is authorized to publish only the government data, not Gaikindo. "According to Daimler's policy, only government agencies are authorized to perform data publications, so with the solution, Kemenperin provides links, the data will be owned by the government domain," he said. He also understands, what Gaikindo does about collecting sales data of its members, including Mercedes-Benz becomes an obligation. Moreover, it is a regulation stipulated by the government, in the Minister of Finance Regulation No. 79 / PMK Year 2013. "We understand the reporting obligations to the MoF through the Directorate General of Taxation and the Ministry of Industry for volume production, we even provide data directly to the Ministry of Industry," he said. He also explained in the aggregate it provides data to Gaikindo. "So we do not stop providing data, but not in the level of detail because we do not see Gaikindo publishing the data," Lamberts said. To solve the problem, Gaikindo asks for government assistance by bridging the Director General of Metal, Machinery, Transportation and Electronics Industry (ILMATE) of the Ministry of Industry Harjanto, the problem can be solved. From the results of discussions with Harjanto, the Ministry of Industry agreed to include its official website link to Gaikindo. That is, indirectly Mercy sales data is also published by the government through the website of the Ministry of Industry.